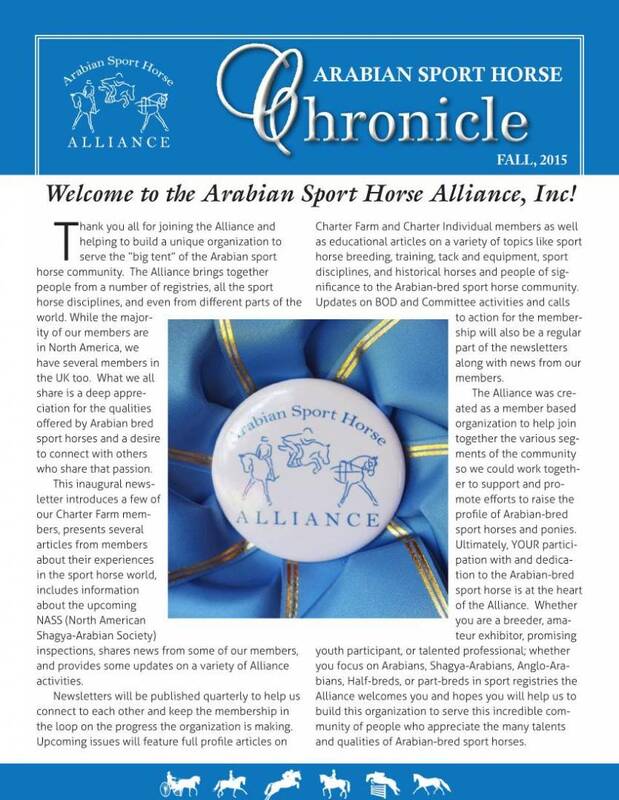 Check out the Fall 2015 issue of the Arabian Sport Horse Chronicle, our inaugural member newsletter with updates on Alliance activities and plans, articles from the Arabian sport horse community, and members news. There’s a lot of activity and more to come! Thank you to all our members for supporting us in launching this organization.